You are here: Home / Home Page Blurb – Your Headline Catch Cry Here If You Like! Have you claimed your free ‘The Real Truth On Losing Body Fat’ eBook? 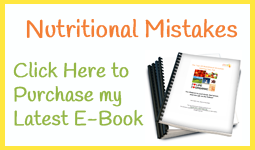 Get The ‘Top Ten Nutritional Mistakes Making You Fat’ eBook now! There are 63 pages chocked full with easy to understand explanations of the nutritional mistakes we unwittingly make every day and offers solutions to them, which will undoubtedly have a huge impact on your quality of life. 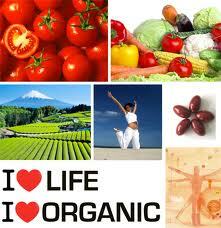 There is so much confusion among us with regards to what to eat and why. Do you drink milk, or do you avoid milk? Is red meat really so bad for us? These and tonnes of other common questions are answered, by explaining some simple biological and physiological natural laws. When you get informed and learn to understand how the human body processes its food, you will gain the knowledge of how to make healthy eating decisions all by yourself. You will then be the master of your waist-line and feeling vital.